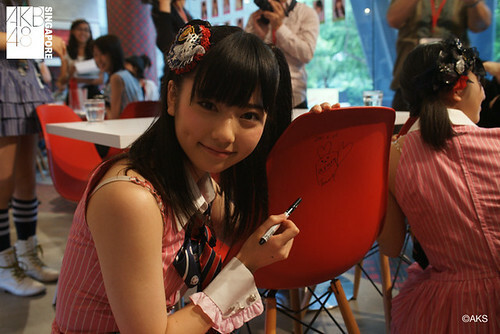 AKB48 Singapore had a soft launch for the world’s first AKB48 Official Cafe at *Scape last Saturday 25 June 2011. The surprise visit – AKB48 members returned to the café in the late afternoon, much to the surprise and delight of the diners. They went on stage to pose for photos and greet the diners. The closed door session – the AKB48 members tried out the food and drinks, and took the opportunity to sign autographs on the chairs.